Death of Brother John Augustine (‘Senan’) Forrie, C.Ss.R. C.Ss.R., of this Esker Community. Brother Senan died peacefully on Thursday night, February 11th, 2016, at about 9.30pm, in Galway University Hospital, where he had been since Christmas Eve. May he rest in peace. Born in Ballyhaunis, Co. Mayo, on 31st August 1925, he was professed as a Redemptorist on February 11th, 1948. He died on the 68th anniversary of his Profession, on the Feast of Our Lady of Lourdes. Bro. 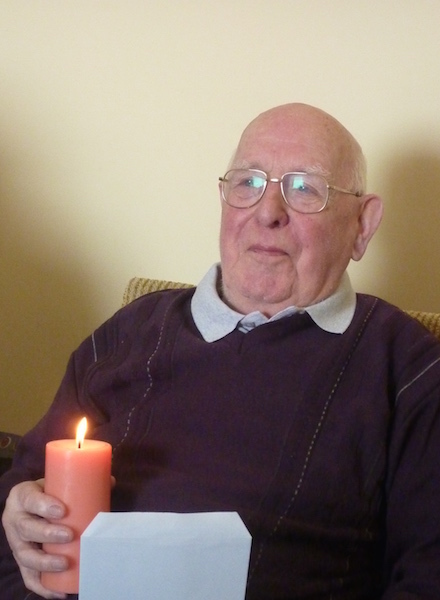 Senan first came to Limerick as a Postulant Brother in 1946, where, after two years, he was Professed. In his early years, he worked as Cook at different times between Esker, Limerick and Cluain Mhuire Galway. In Cluain Mhuire, he would have had to feed up to 120 people each day, between students, brothers and priests. About 1958, he went to Clonard Belfast, and worked between there and the new Retreat House of St. Clement’s and the community of St. Gerard’s, on the Antrim Road. He returned for a short time to Limerick about 1966, then transferred to St. Joseph’s Dundalk in 1968, where he worked for twelve years. 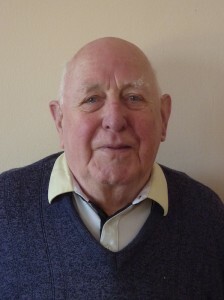 In 1980, he moved to Limerick where he remained for nearly ten years, working as Bursar/Minister in the community and also working closely with the Novena Team, there. About 1989, he moved to Esker and has been a member of our community here since then. He was very involved in the development of the Youth Village in Esker, through the ’90′s. For the past few years, he has been in ill-health. He has been wonderfully cared for here by our nursing and carers team, and wonderfully cared for in UHG since Christmas Eve. Ar dheis Dé go raibh a anam dílis. May he rest in peace. His remains arrive in Esker 3pm tomorrow Saturday February 13th, where he will repose in the Monastery. At 5.30pm, removal to Esker Church. Funeral Mass on Sunday 14th will be at 2pm. ← Esker goes to the Movies, about Icon of Mother of Perpetual Help.